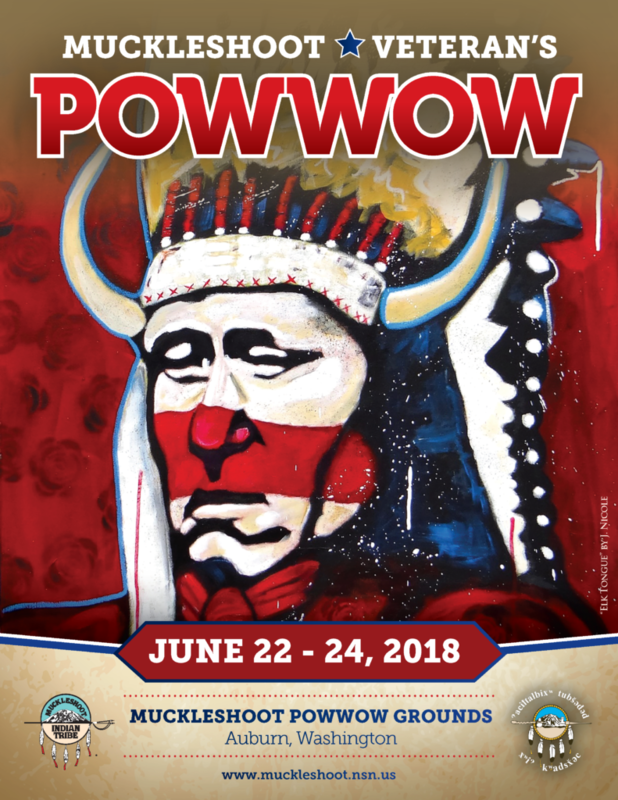 Celebrate the service of our veterans at the 2018 Muckleshoot Veteran’s Powwow. 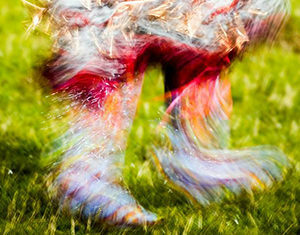 Set for June 22-24 in Auburn, Washington, the celebration of native pride and civic duty is free and open to all. View complete details below and via the link. 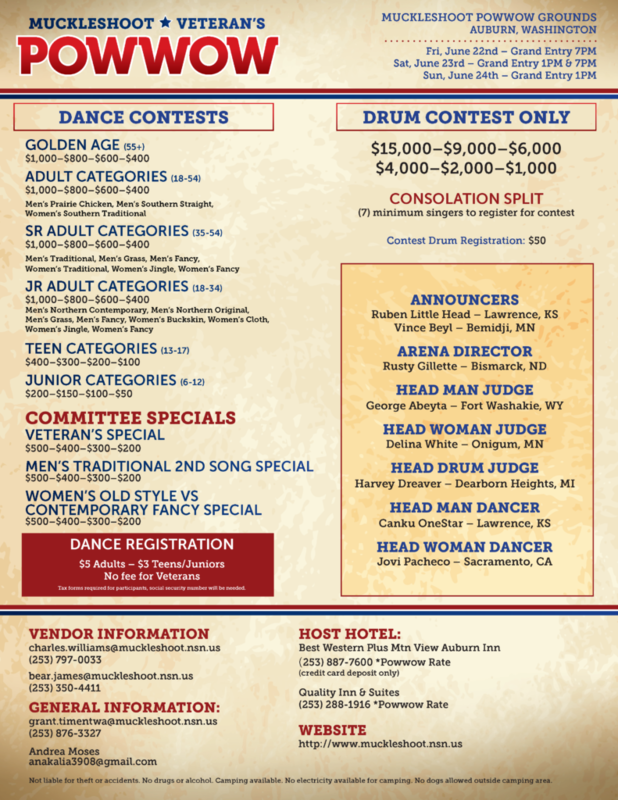 The 2018 Muckleshoot Veteran’s Powwow will take place at the Muckleshoot Powwow Grounds in Auburn, Washington. The grounds are a 10-minute drive from Muckleshoot Casino.